Welcome To Hartheim is the title of the mysterious band's second song, their follow up to January's Yellow which had the blogging community foaming at the mouth, particularly as there was virtually no information about who they were and what they were about. Even with the release of this single, we've discovered little else. We still know very little about the band other than that they play live as a five-piece and are linked in some way with legendary Salford label Sways. The band, and by definition the song, is named after the infamous Austrian centre where the Nazis killed over 30,000 people between 1940 and 1945. They also have a chilling backdrop at live shows proclaiming "Your God has so much to answer for" which makes them even more mysterious and sinister. Add to that the fact they've covered Billie Holiday's Strange Fruit live, a song about murderers of black Americans during the Civil War, and their first interviews are going to make very interesting reading. Video director Jack Bottomley described the video "The story behind the ‘Welcome To Hartheim’ video stems directly from the lyrical content in the track. The main focus was to reflect the appalling subject matter with haunting visuals and contemporary movement, using them to build on the narrative laid out in the song. The video explores the lost relationship between a Mother and Son at Hartheim Castle. I worked closely with Abbie Coughlan, the featured dancer, to express the emotional clash through her performance. For me, the choreography is a passionate struggle between her tortured grief and her disbelief at what is going on around her. Yet, all of this aching would never exist if it weren’t for such a strong bond in what is life’s most instant connection. The result is a video that is stark, angry, and yet somewhat beautiful." 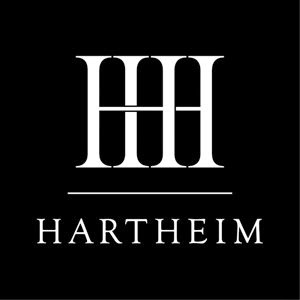 Hartheim have a tumblr page and are on Soundcloud and have just joined Twitter.